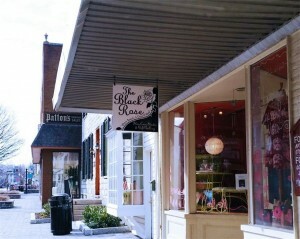 The Black Rose is a combination of a gift gallery and skin care studio, providing everything for you to look your best. The skin care studio offers facial services for men, women and teens as well as anti-aging products, permanent cosmetics, and teeth whitening. The gift gallery portion features one of the largest selections of jewelry, with over 500 pieces available. Stop by today and treat yourself! The Black Rose recently expanded and now includes a Coffee & Tea Lounge offering specialty coffee & tea pairings and foods that compliment your drinks. Hours of Operation: Daily: 11 a.m.-5 p.m.